The diversity of businesses in Citywest Business Campus is matched by the variety of amenities that support them. The choice is exceptional. Citywest boasts all the amenities required of a world class business location. The campus is serviced with a range of on-site amenities to provide for all business needs. There is a hub of facilities at the Riverwalk including a convenience store, ATM, sandwich bar and restaurant. The nearby Lakeview Restaurant provides an alternative option. In addition, the campus is serviced with an on-site creche and service station. 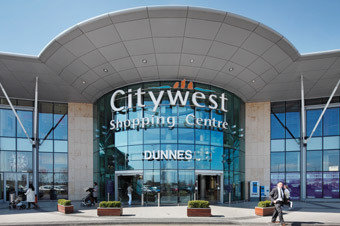 Citywest Shopping Centre, anchored by Dunnes, is a welcome addition to the campus providing a vast range of restaurants, coffee shops and fast food outlets as well as catering for your general shopping needs. The shopping centre also offers retail conveniences such as a pharmacy, dry cleaners, newsagents, post office, barbers, medical centre and much more. Great attention is paid to the landscaping to provide a world-class environment for all to enjoy including features such as the Pool of Tara and Riverwalk. The list of amenities continues with the nearby Citywest Hotel, the largest hotel in the country, providing facilities such as conferences and banqueting events as well as offering a substantial leisure centre and golf course. Nearby Avoca on the N7 and Saggart offer further retail outlets and restaurants. The Square Shopping Centre in Tallaght together with Europe's largest training hospital and a third level college are just a few minutes drive from campus.